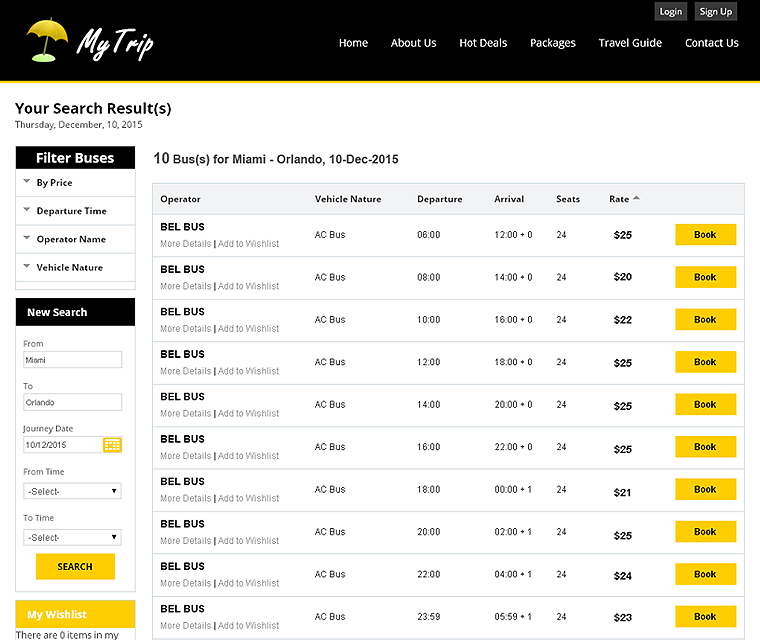 TravelCarma's Online Bus Booking System allows you to automate your bus bookings and payments for different bus routes and intercity transfers. It also helps you manage your bus inventory, fares, routes, schedules as well as your entire back-office including accounting and reporting. With TravelCarma you can transform your pen-and-paper process into a dynamic online reservation system and gain an edge over the competition. 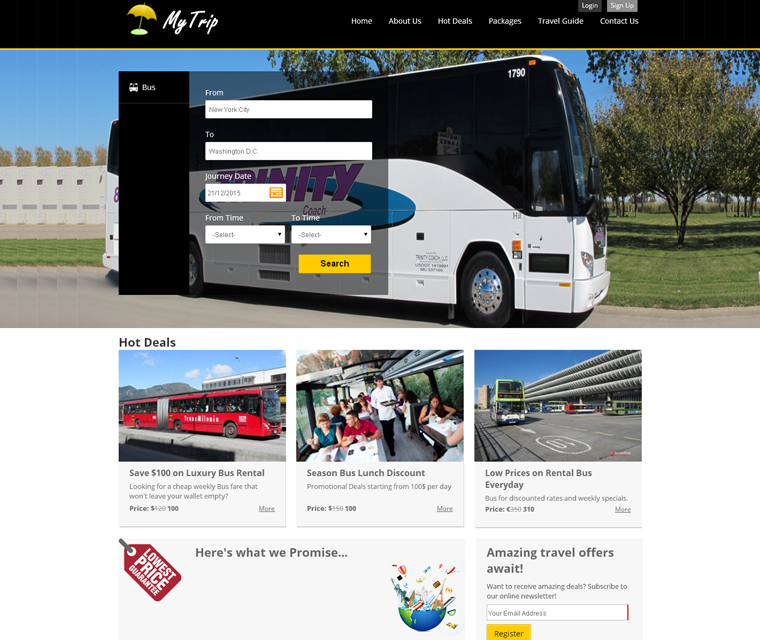 Let your customers book your bus tickets in the comfort of their living rooms! 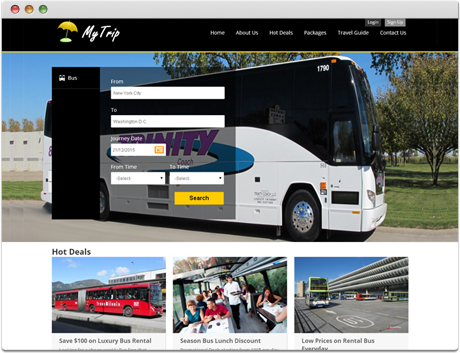 With our bus portals, your customers can browse your bus inventory, choose their journey dates, choose route options, pick seats and finally make an online payment with instant confirmation. Using the CMS-based website, you can create your website easily by selecting the templates available and create the content for each page, including text, images, videos and inquiry forms and your own branding across the site. Moreover, our portals support multiple languages, allowing you to target customers in various regions. 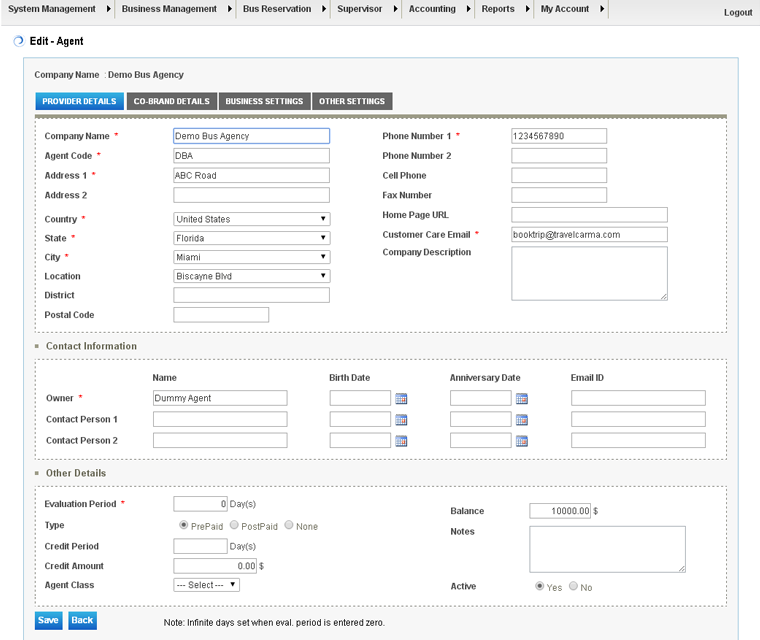 Our CMS portals make it very easy for you to manage and customize your web content. You can update all the content on your portal, with no knowledge of HTML and without the help of webmasters or web developers, thus reducing your manpower cost. In order to make all your pages to be listed on search engines, our CMS provides SEO friendly pages with the facility to easily update the site's meta data such as page titles, descriptions, image tags etc. You can easily submit your site to search engines and also host the same content with minor modifications for multiple domains. With our bus booking engine, you can have your bus inventory booked across the globe as per your customers' preferred currency. 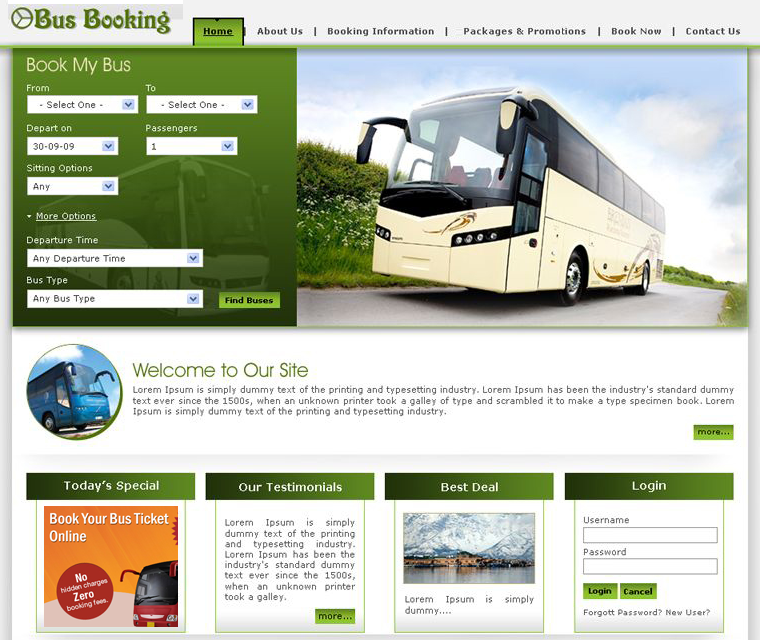 Our Bus booking engine can be easily integrated with your website as a white-label or private label booking engine. 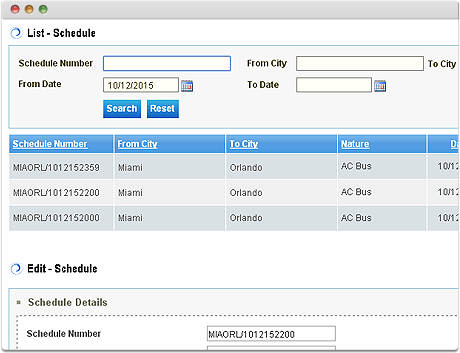 Our sophisticated booking engine rules can handle the most complicated scenarios and also let you access inventory of other bus operators via XML API. 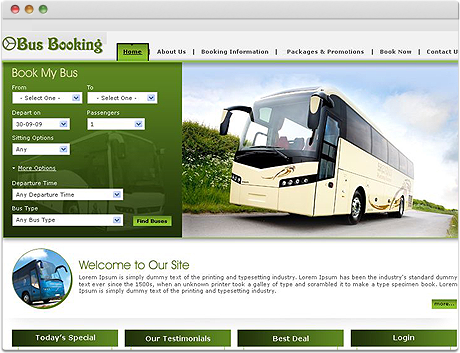 Our bus booking engine is easy to integrate with your existing website or with the content management system you are using. You can manage the Internet booking engine, as a white or private label, such that it fits with your web environment, and your down line can also use your booking engine that matches the look and feel of their website. Our Bus reservation system is an e-ticketing solution that helps your customers book seats online and get instant confirmation. Once the customer has booked on your system, they will receive the confirmation message through email. The system also allows online modifications and cancellations. 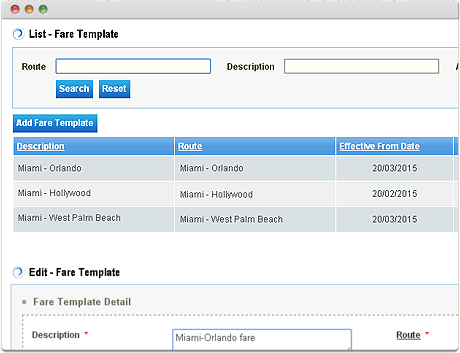 Registered customers can also view their booking history. 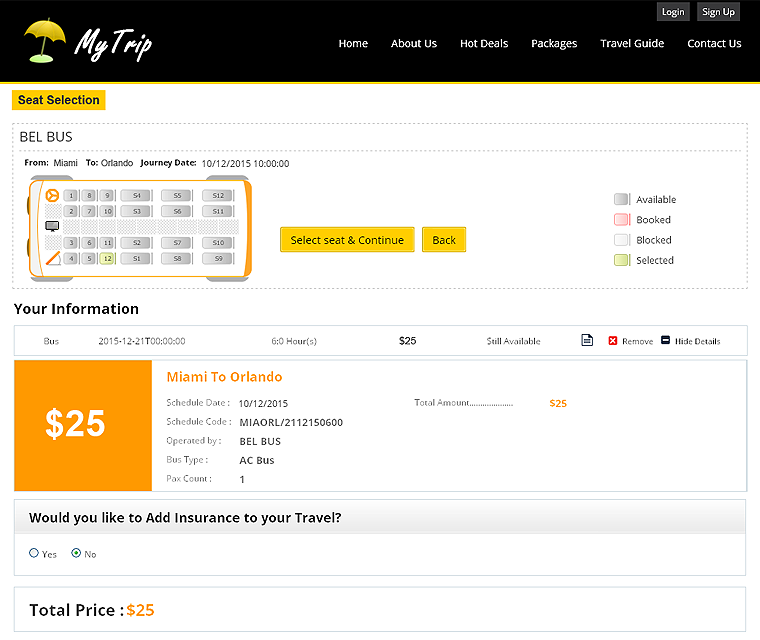 Automate your payments process through TravelCarma. Our system supports a wide range of online and offline payment options, including Paypal, credit/debit cards and cash payments. We have integrated over 40+ payment gateways across the world and can easily integrate the payment gateway of your choice upon request. 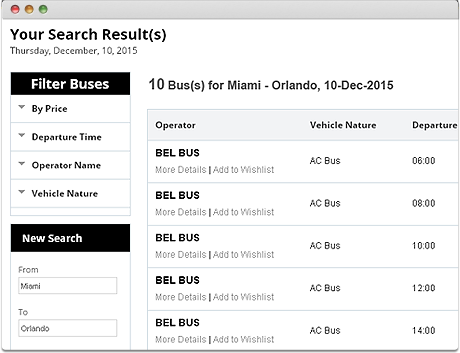 Centrally manage your entire bus inventory with our Bus CRS. 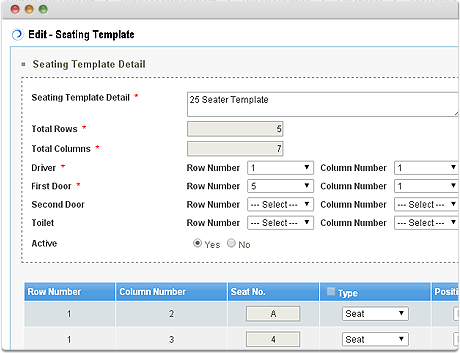 You can easily configure your bus routes, seating templates, seat availability etc and manage the complete inventory distribution through our web based CRS. Our bus reservation system allows you to perform back office functions like setting up of your fleet, branches, fares, time tables, pick-up and drop off points etc. 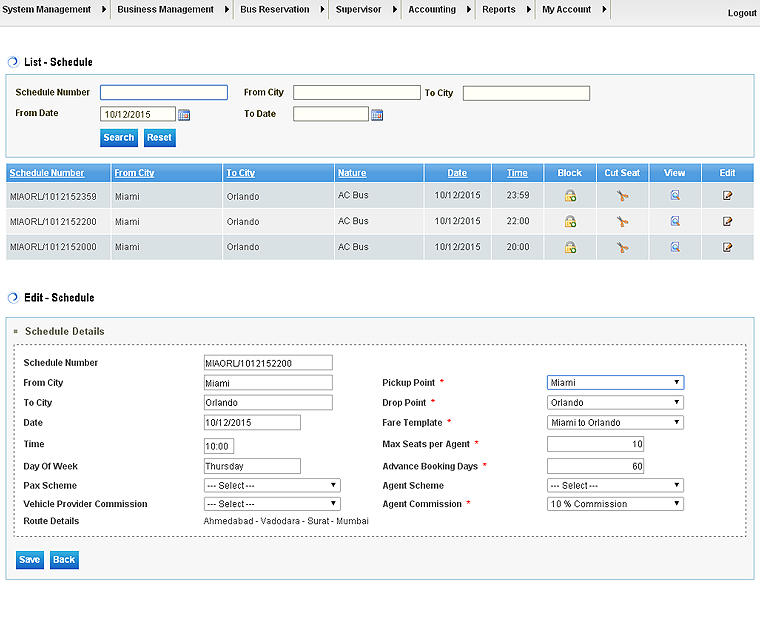 You can manage your buses, schedules, fares, blocks/quotas, seasonal pricing, amenities management etc through our CRS. 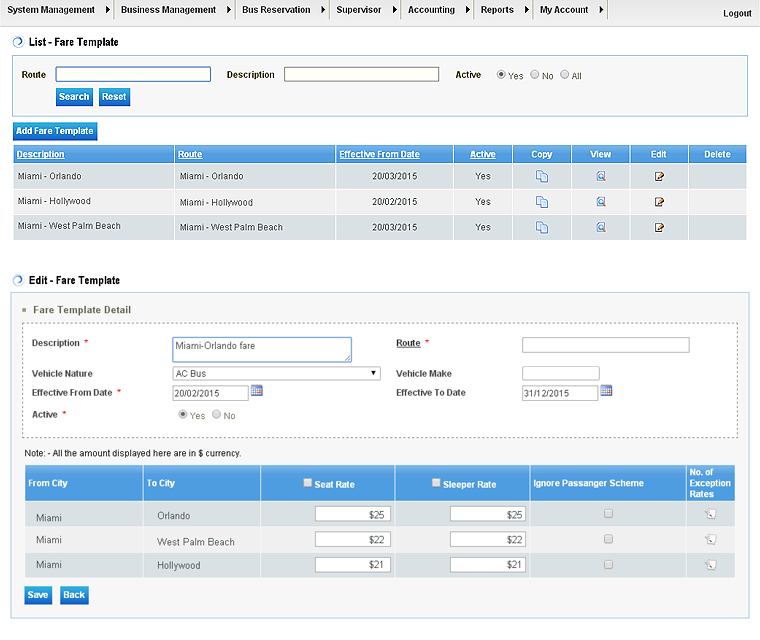 You can also manage your policies and can define new policies for modification and cancellation of the bus reservation. 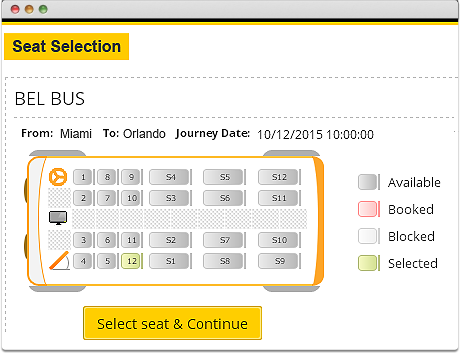 As an admin you can modify and cancel bookings for specific travelers. All the data of the bus route, seat availability, pricing, promotions etc are highly secured and been tied with the user role and credentials. 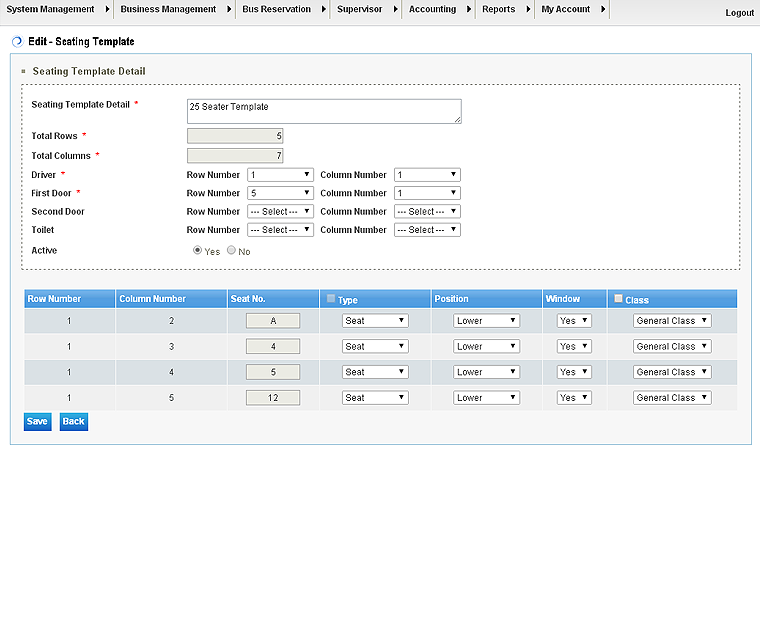 You can create Employees under you by different roles such as Booking Office, Accountant, Dispatch Staff, Supervisor etc. Employees created by the bus operator or sub employees created under a specific employee can make the booking for a walk-in customer, agent on the phone, branch on the phone and privileged member booking. The employee can also do current bookings and single window bookings for any other operator. Our dynamic dashboard gives you an overview on your business to help you devise/modify your business strategies. 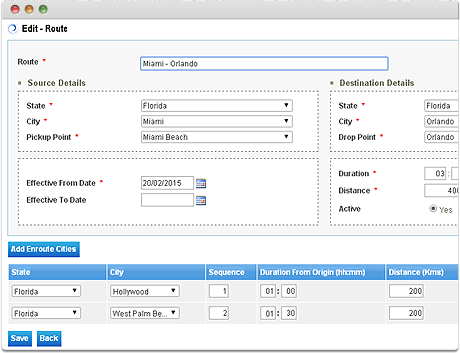 Our system generates business reports for booking and cancellation done by agents or customers. You can also generate intelligent reports like daily arrival report, inventory report, rate report, billing details report etc. which can help to take strategic decisions. 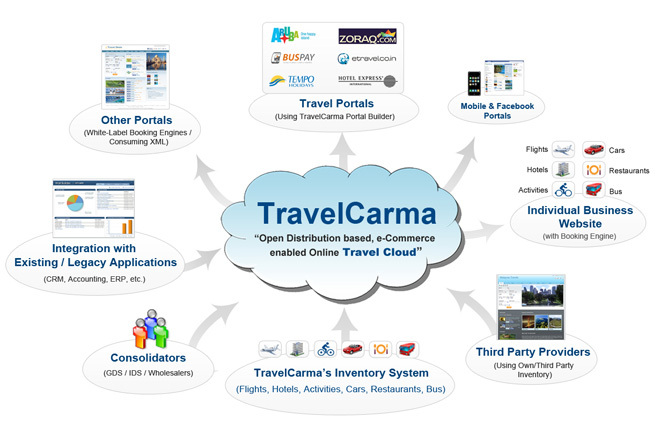 TravelCarma offers a complete Agency Management System for bus operators to manage their agents. 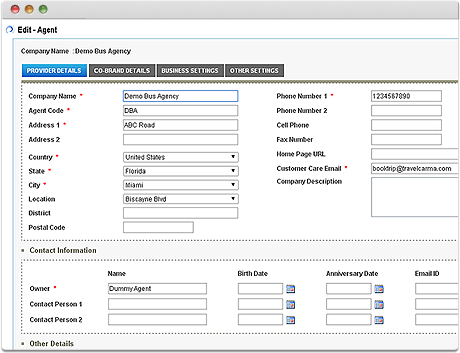 All agents that have been created can configure their business, manage their employees and set up email templates through our bus system. 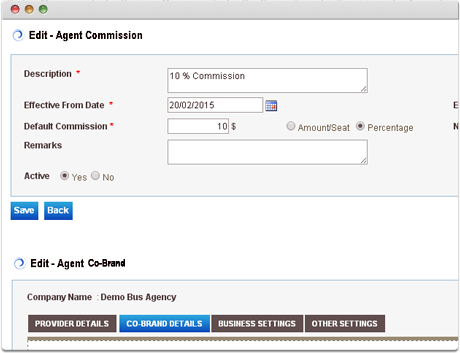 It also allows you to manage mark up and commissions for individual agents. You can manage all your all agents working for you through this system. You can create, edit and delete the agents and also block certain agents for a particular time period. Most importantly, you can manage the pricing for your agents by setting up the mark ups for them at an individual level. Different credentials are available for different bus agents to keep the data secure and restrict access to certain agents. Our co-branding facility allows you to set up the interface for each agent to provide them a rich look and feel from our templates. 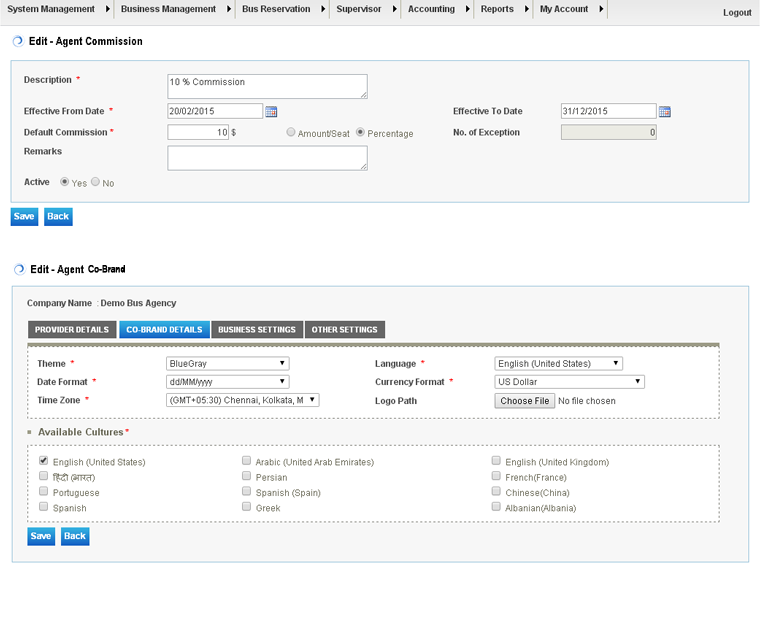 You can generate different reports in order to get information on the business done by agents working under you. 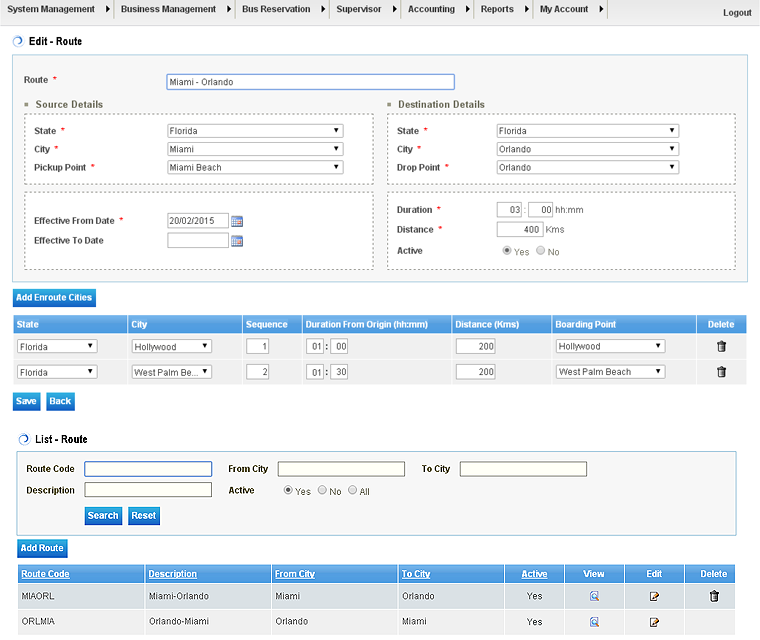 You can also generate intelligent reports for the commissions to be paid to your agents.